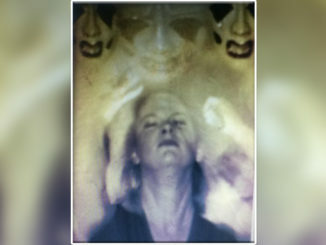 Have you seen these demon photos? 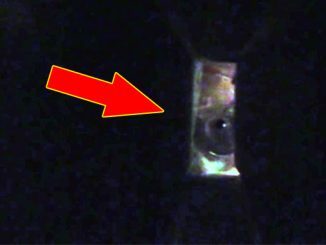 Here are 10 real demon photos that will give you chills. From a demon-man spotted throughout Brazil to a creature stalking the halls of a hospital, join us as we take a look at some terrifying demon photos that you just have to see! This photo was taken some time in the late 90’s at a wedding reception in Aurora, Minnesota. The couple in the photo, Mr and Mrs Martinez, claim they didn’t notice anything strange about the photo until eight years after it was taken. There in the background is a strange dog-like face just above the left should of Mr Martinez. The couple said there was no dog at the reception and were baffled by the image. 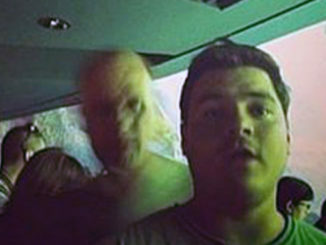 Mr Martinez, who was battling drug addiction at the time, claims the photo was an omen. He took the photo as a sign to stop his drug abuse, believing this was some kind of demon clinging to him. He now carries this photo around with him reminding people of evil that can be found in this world. Photography experts examined the photo and determined that it hadn’t been tampered with in anyway, concluding that the dog must have been present the day the photo was taken. Whether the dog is demonic or not still remains a topic of fierce debate on social media and forums today. When this photo was submitted to Reddit in 2012, the forum went into a frenzy of speculation. 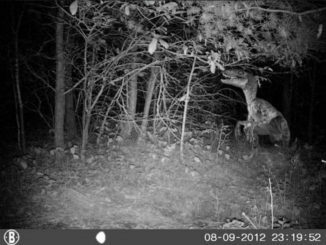 What’s now known as the ‘Wisconsin Trail Cam Mystery’, this startling image has baffled analysts for years. 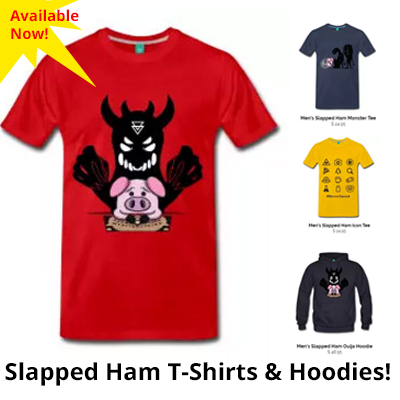 The shambling creature seems to be wearing tattered rags with a hood draped over it’s hunched shoulders. Some have noted the footprints running across the ground as if this beast is tracking them. There’s been no reasonable explanation for this image. Opinions range from a demon to a zombie or even a lost soul forced to eternally wander the woods. 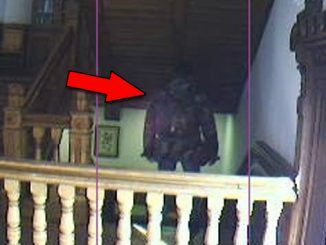 Some have said that it’s a smear on the lens of the camera or just a person with a sheet draped over them. 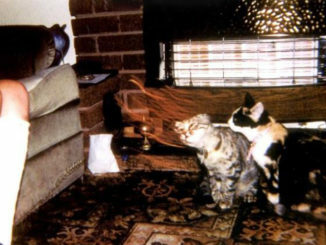 Whatever the case may be, this is one of the most baffling demon photos ever taken. In late 2015 unusual photos began appearing in Brazil. People all over the country were reporting sightings of a strange demon-like man, some even described the creature as a werewolf. The sightings occurred in different cities around the country all around the same time. One witness said they saw a strong-looking creature, running fast along the building tops. 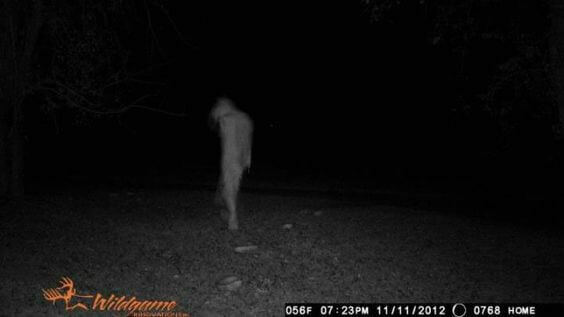 Residents even avoided going out at night during the spate of bizarre sightings. The photo on the right was captured by a young girl who was out with her father. They said they couldn’t get a video of the creature as they were too scared. The photo appears to show a figure with bent legs, similar to a goat, and a strong upper torso. 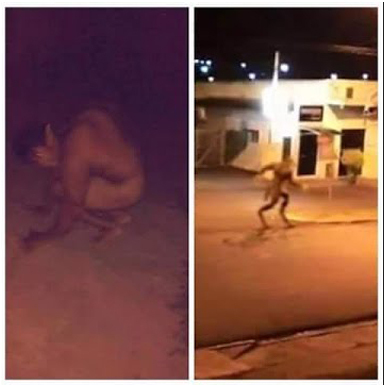 The other photo that surfaced shows a humanoid creature with pointy ears, a hunched back and giant arms. When the photos began circulating on social media, speculation ran rife. 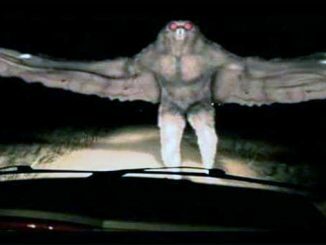 Viewers called the creature a demon, a werewolf and even a pixie-man. Others were quick to dismiss the pictures as hoax Photoshop jobs. Officials were unable to explain the string of strange sightings. There’s not a lot of solid information about this photo. 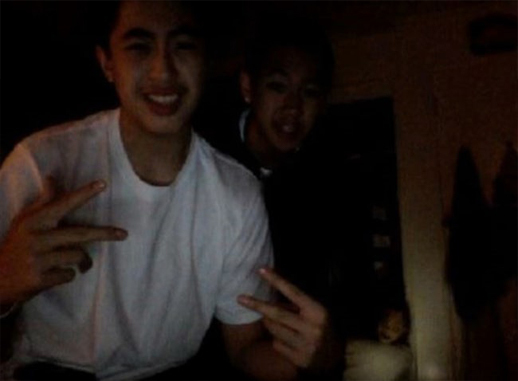 In the picture we see two young boys who have taken an innocent selfie but what they accidentally caught in the photo will give you chills. Take a look at the bottom right hand corner, there appears to be a little girl or demonic doll staring menacingly at the camera. It has long black hair and a gaunt, twisted face. It’s hard to verify this one as there is next to no information available. It could quite easily have been staged or photoshopped as the quality and lighting in the image is extremely low. What do you think is going on in this photo? Is it simply a fake or were these boys visited by a demonic doll? When this woman took an innocent selfie in the mirror she couldn’t have known the chilling image that would develop. 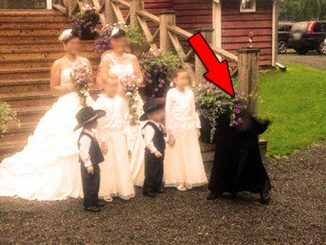 Uploaded to Imgur in 2016 with the caption ‘Please tell me that is your shy daughter,’ this sinister photo whipped paranormal enthusiasts into a frenzy. 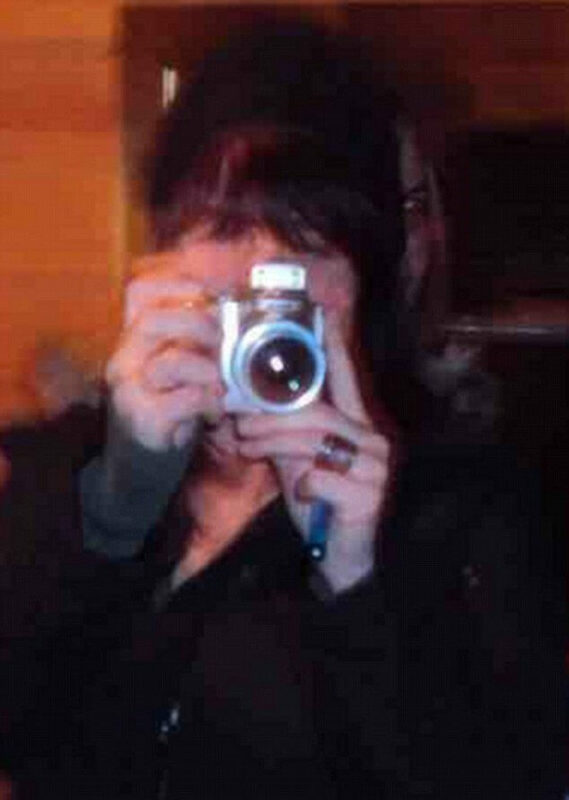 Behind the woman’s left shoulder is a demonic face with glowing eyes and a slight grin. The two skin tones don’t match and the look in the eye of the second figure is really off putting. The woman who took the photo has never come forward so it’s hard to verify the authenticity. It could be a very well timed photobomb, a Photoshop job or it could be something far more sinister. 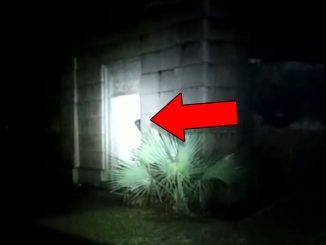 10 REAL Creepy Photos You Have to See!